​Gracia Missions is so proud to release our new video for the Hope Project, in partnership with Camp Roblealto in Costa Rica! More than 6 years, more than 2,000 kids/teenagers from the worst situations you can imagine, to camp and follow-up in their lives...This has been our vision and passion. Click below to see how this incredible project is changing lives! Four young leaders from Peru and two from Costa Rica returned home to Latin America this week (October 22 - 26) after spending more than four intense months of summer training at the Cannon Beach Conference Center in Oregon. Pray for them as they re-enter their countries and begin to apply the learning and experience during this coming year! Gracias Missions, in partnership with Camp Roblealto (Costa Rica), will be concluding our final Hope Project camp of 2018 at the end of November. This year, thanks to our generous sponsors, we have been able to do seven camps with kids and teens living high-risk communities. 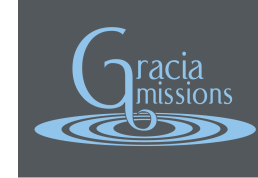 Gracia Missions completed the first Hope Initiative Project in December 2017, working with the at-risk community of Guarari, Heredia, Costa Rica! We are so grateful to our support team, partners and everyone who had a hand in this incredible project.